Learn how to rename your Tiller spreadsheets. You can easily rename any of your Tiller spreadsheets directly from the Google Sheet itself. 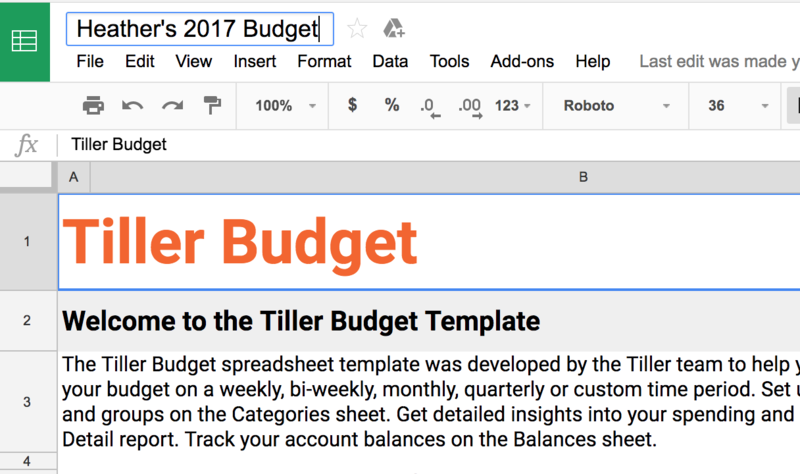 After renaming the Google Sheet you'll see the new name update on your Tiller Console after an account refresh and then a browser refresh. Open the Tiller spreadsheet you'd like to rename. Click inside the sheet name near the top of the Google Sheet to edit. Change the Google Sheet's name. Open the Account Summary and click "Refresh Data" if you don't see the "Data refreshing...." message. Refresh your browser to see the updated sheet name.